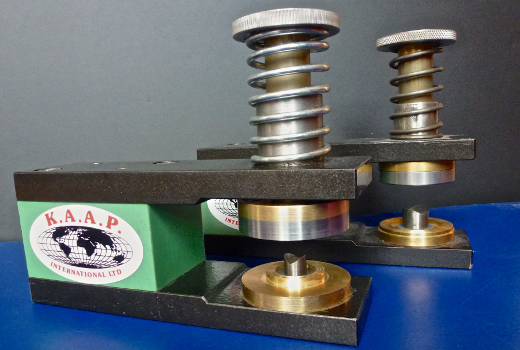 the UK's leading manufacture of components to the High Frequency Welding Machines industry. With more than 30 years experience in the following product area's : - Tension curtains - tilts - tarpaulins - marquees - structure sheets - banner & large format. Banner manufacturers in the advertising industry are now converting to the use of our range of pvc eyelets where we can offer punch & weld tools with suitable High Frequency Welding machines. 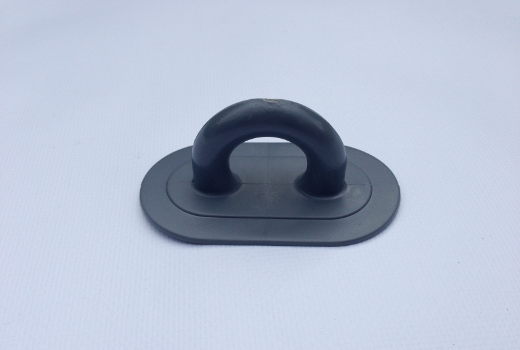 A range of large pvc eyelets for the truck covers & tarpaulins. 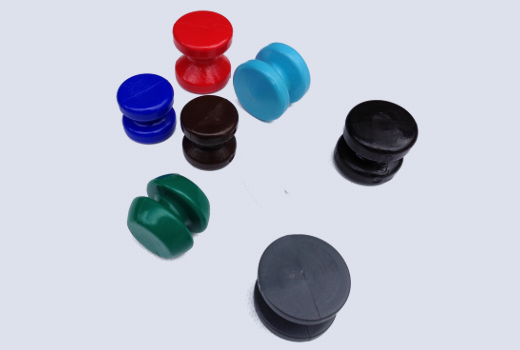 A range of Roller Bobbins for truck side curtains. 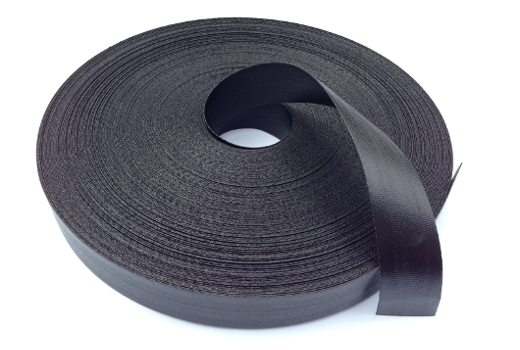 PVC coated Weldable webbing from KAAP International Ltd.
Stronger than metal eyelets. 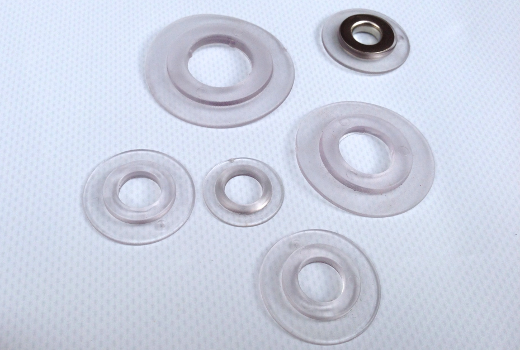 Using PVC Eyelets you will increase the strength of your fixing point significantly. 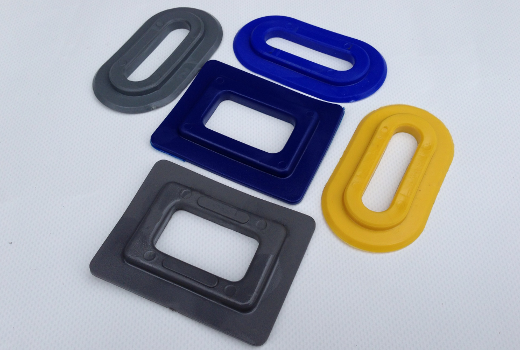 Cleats & Eyelets available in a range of sizes and manufactured using the highest quality materiels. 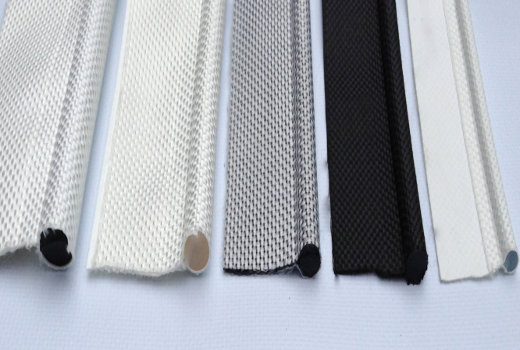 Keder for marquees, awnings and banner surrounds. High Frequency Welding Machines, Tools & Accessories available in a wide range of sizes and specifications. KAAP international Ltd offer a wide range of high frequency welding machines components and high quality high frequency welding machines. We do our very best to offer a complete service at Kaap international and that means taking the time to give you free videos on how to use our products. Please contact us for information and / quotations on all of our high frequency welding machines and componants. Other main products for High Frequency Welding Machines include: - Buckles - Roller Bobbins - PVC Eyelets - Keder - PVC Webbing - High Frequency Welding Machines and Tooling. Having worked closely with some of the major High Frequency Welding Machine manufactures, we are able to offer a complete technical service for the use of our products.